Flooring Brand In The USA! Marketing: We use our Internet footprint to get you Leads. You build your local network and reputation following our simple model. Sales: Eye-Candy Sells. World class sales materials help you sell more jobs at higher prices. You'll be able to learn from the best sales reps in our business. 1-Day Installation: Your team installs each floor including surface prep, minor crack repairs, and the complete Signature Flake Floor system in just 1 Day. We believe in opportunity unlimited. That you get out of business what you put into it, and that following a proven roadmap is way better than going at it on your own. This is the moment you stop talking about it and start doing it. A huge opportunity exists for you to sell and install our seamless floor coating systems in garages, basements, warehouses, and more. Most of our systems can be completed in only one day. Our program is not for everyone. If you don’t want to stand behind your work and deliver a great client experience every single time, you should look elsewhere. If, however, you’re ready to expand your business and you are ready to bring it every day, we want to talk! 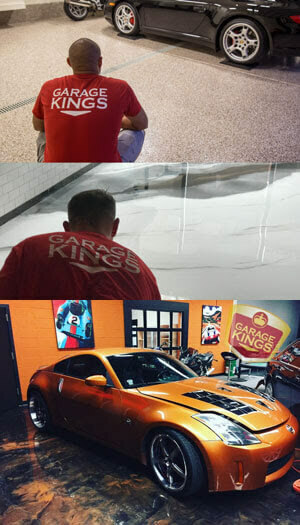 The Garage Kings opportunity is expanding through a network of business minded individuals like you. We will teach you to use our sales and installation systems to create a business that is fun and profitable. This is NOT a franchise, so you have the freedom to grow your garage floor epoxy business your way. Our team will help you get up and running with a proven system including equipment, materials, training, marketing and more. Already have gear? Perfect! We will customize your startup package for where you are today. 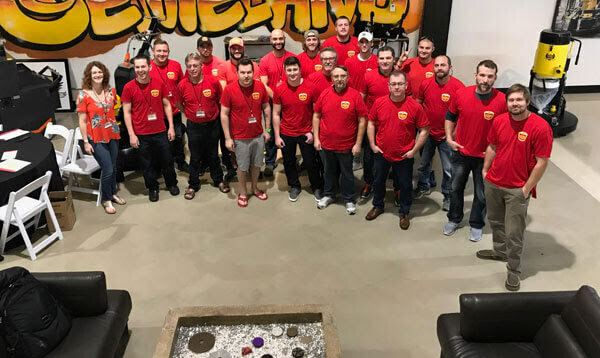 As part of the Garage Kings network, our training staff will work with you to develop your market, make sales, complete projects and more. Plug in to our proven marketing systems and sales processes to DOMINATE the epoxy flooring business in your area. Are you ready to take the next step? Fill out the form today!